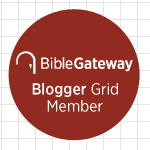 If you are not familiar with Bible Gateway, the site offers many tools to people who want to study the Bible. Its online Bible search engine allows people to search several Bibles in English, Spanish, and several other languages. As the Internet’s largest Christian website, Bible Gateway seeks to encourage Bible reading and scriptural understanding among Bible readers everywhere. Celebrating 20 years online, Bible Gateway offers free access to the Bible in more than 70 languages and 180 different versions. Bible Gateway’s website and app receive 130-140 million views per month. The Bible Gateway App includes the complete text and audio of multiple bestselling Bible versions in more than 80 languages, Bible reading plans, Bible commentaries and dictionaries, the ability to highlight and take notes, and share content with social media such as Facebook and Twitter. 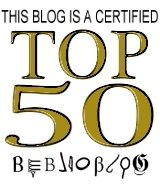 This entry was posted in Blogging and tagged Bible Gateway, Blogging. Bookmark the permalink. Thank you for your faithfulness, I wish you and all your staff a blessed Christmas and open window from Heaven for 2014. Your emails are full of the Word, they bless me enormously. Looking towards new 2014 Emails. Thank you for your nice words. I also wish you and your loved ones a blessed Christmas and a happy New Year. Thank you for reading my posts. 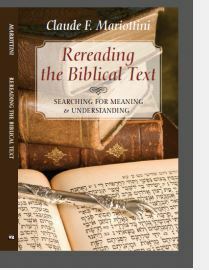 My desire is to help other Christians to develop a deeper love for the Old Testament. Let us spread God’s words to as many people as possible. Very glad to be on “the grid” with you. What a wonderful resource we have in Bible Gateway! Thank you for your comment. I am also glad to join so many amazing people on “the grid”. I have visited many of the blogs of people who are on the grid and I have realized that we have a lot of talented people participating on this project. The sentiment you expressed on your comment is mutual.